We desire for every child to have a place where they can learn about God’s love and where families can worship and serve. We ask that parents register their child so that we may know best how to meet their needs. We use combinations of an orientation, short-term pull out class, and integration of special needs children into the existing LIFEgroups with ‘buddies'. We are so glad that you are interested in participating with us in Parent/Child Dedication Celebration. You have been entrusted with the precious gift of new life, and we look forward to partnering with you as you embark on the parenting journey. We hope the Parent/Child Dedication Celebration will be a memorable occasion for you and your family. Throw on your camera strap and buckle your seatbelt. 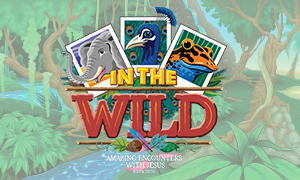 VBS 2019 takes you on a wild adventure—with elephants and egrets, polar bears and penguins, cockatoos and crocodiles. As you seek out exotic animals, you’ll also find snapshots of real-life encounters with Jesus in Scripture. Kids go from bewildered to believing as they get In The Wild at this summer’s VBS. 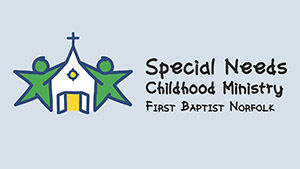 If you have questions, please contact the Children's Ministry at children@firstnorfolk.org or 802-9516.